China and Japan rarely see eye to eye, but the two sides are increasingly cooperating on issues of trade. U.S. President Donald Trump has threatened to raise tariffs on Chinese goods and withdrew the United States from the Trans-Pacific Partnership -- a move he is seeking to reverse in an upcoming summit with Japanese Prime Minister Shinzo Abe. U.S. flip-flopping on trade issues may have served as the backdrop to an economic dialogue in Tokyo on Monday, between Japanese Foreign Minister Taro Kono and his Chinese counterpart Wang Yi, according to NHK and other Japanese media. Kono later told Japanese reporters the two sides agreed any trade war will have a "serious impact" on the global economy. Kono and Wang also concurred they oppose protectionist policies, favor the pursuit of multilateral trading systems like the TPP and China's One Belt, One Road initiative. The two sides agreed there is a need to develop free trade systems based on the principles of the World Trade Organization. Tokyo and Beijing discussed shared concerns, including the imposition of high U.S. tariffs on imported steel, a measure that would affect Chinese and Japanese producers. 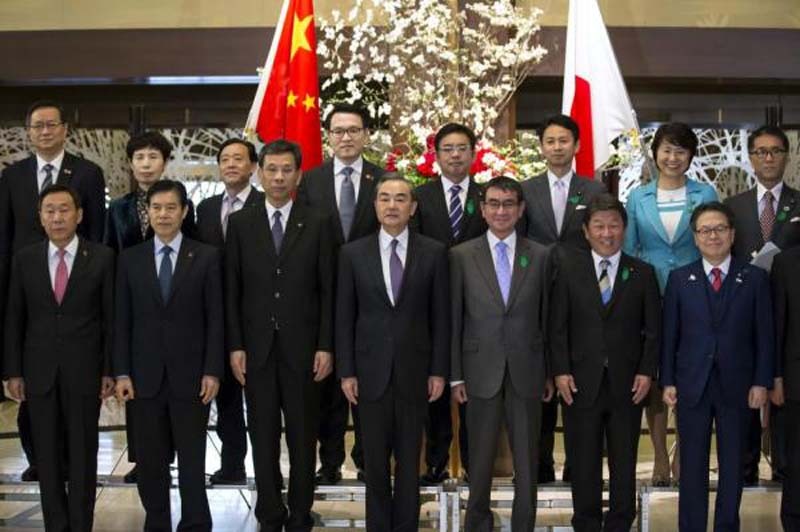 Wang also invited the top Japanese diplomat to consider participating in China's One Belt One Road network of global trade. Kono said Japan would be willing to pursue projects within the network that "meet the standards of the international community." Trump's decision to withdraw the United States from TPP may come at a price, The Wall Street Journal reported Sunday. The negotiations involved in re-entering TPP could extend beyond Trump's first term, according to the report. Japanese newspaper Nikkei reported Trump might be reconsidering TPP ahead of November midterm elections and the need to appeal to farmers. Agricultural groups would have had access to a $62 billion market under TPP. Abe, who is meeting with Trump this week, is expected to encourage Trump to rejoin TPP, the Asahi Shimbun reported. The Japanese prime minister is preparing a large-scale investment "gift" to the U.S. automotive sector, according to the report.